Biotech Insider Alert is a powerful new service for investors. It tracks the most crucial milestones in a new drug or medical technology’s journey to the marketplace – and shows you how to invest for maximum gains. A longtime bioscience investing expert, editor Ernie Tremblay has a proven ability to identify only the companies that have likely breakthrough winners in the fast-moving bioscience sector. He pinpoints the exact calendar date the pharmaceutical company behind a new therapy can skyrocket in value. These stocks often pop by double and triple digits overnight, then run up to even bigger gains in the months ahead. It’s happened thousands of times. And now you can be one of the “insiders” grabbing those bioscience profits for yourself. 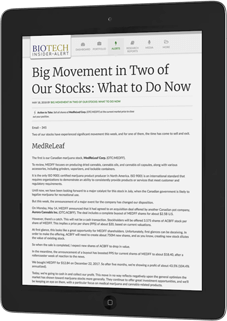 Click here to see the latest news in biotech stock. 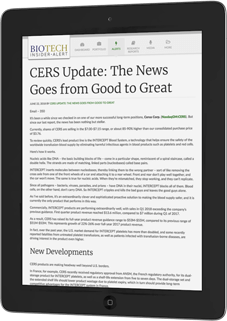 If you’re an Biotech Insider Alert subscriber, click here to login. If not, see below for more information about Biotech Insider Alert. 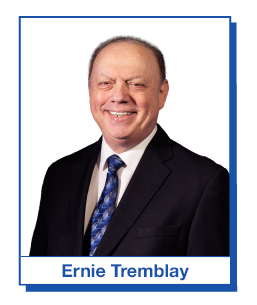 Hi, my name is Ernie Tremblay. I’m here with urgent news about an altogether NEW breakthrough just “greenlighted” by the U.S. Government. It’s a breakthrough so big, it has the power to create an entirely new industry. An industry that could be worth not just hundreds of billions of dollars – but over $1 trillion. It’s an “offshoot” of the blistering hot marijuana business… and yet it’s 111 times larger. Nothing to do with the stuff people smoke or vape to get high. Nothing to do with edibles. Nothing to do with medical marijuana you buy at dispensaries. Nothing to do with growing, distributing, or selling it. Nothing to do with the “pick and shovel” suppliers to the marijuana industry. Nothing to do with the legalization in Canada… or California… or any other state or country that will legalize recreational marijuana in the future. 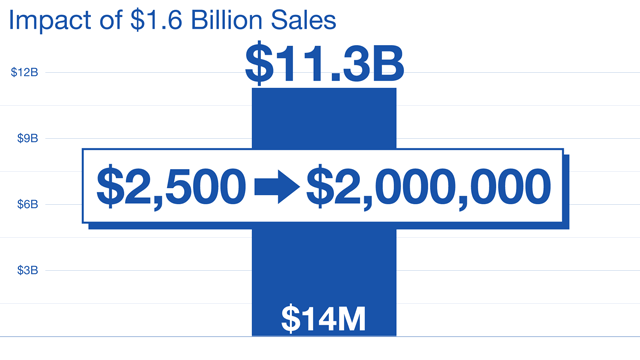 Companies in the new industry I’ll tell you about today are now tapping into a $1.112 trillion market. 111 times bigger to be exact! So why is this new “offshoot” industry expected to dwarf traditional marijuana markets? The products generated by this new industry could command as much as 21 times the price of regular, recreational marijuana. My research shows it could reach as many as 227 million regular Americans every year… and as many as 1.2 billion people around the world. And as you’ll see in a moment, they’ll be willing and happy to pay the higher price. In fact, I would wager that most of these folks would gladly pay any price, as you’re about to see. It’ll be manufactured by billion-dollar companies skilled at bringing products to market – and handing massive gains to shareholders. In some instances, we’re talking about 10, 12, 14 times the investment. In other words, it’s a “for real” industry, 100% legal… and made possible by the growing research in marijuana. With all this new profit up for grabs, top business leaders are going to move fast – with many investing millions of their own money in groundbreaking new products. And oh yes, I’m positive that banks and other institutions with huge bucks can – and will – now do major business in this industry. And get this: It’s attracting some of the best experts, technicians and scientists in the world. Politicians and government agencies are starting to support it in a MAJOR way. With the potential to go from zero to billions, within the next 18 months alone. Business Insider calls the June 25 event that created this opportunity a “sea change” for the industry. On par with the legendary railroad barons of the late 1800s… 1900s Texas oilmen… and the Silicon Valley billionaires of the 2000s. In fact, it’s set to be 10 times bigger than the entire oil industry in the U.S.! For anyone who gets in on the ground floor, this is truly a historic opportunity to get rich. A second, bigger opportunity is unfolding in this NEW industry as I speak. It’s all about to pale by comparison to what I’m about to share with you today. What I’m going to show you today has the potential to turn a small stake into the multimillion-dollar retirement of your dreams. If you’re younger – this is your shot at the kind of massive wealth-building opportunity you may never see again. Companies like Priceline, Apple, Netflix, and Amazon grew by 26,500%, 98,700%, 45,900%, and 100,700%, respectively. And I’ll introduce you to some of the companies from this new industry that can make you rich. And potentially turn every $2,500 you invest into $231,400 or more. Which could turn another small $2,500 stake into $149,300. And turn every $2,500 stake into a life-altering $877,500. 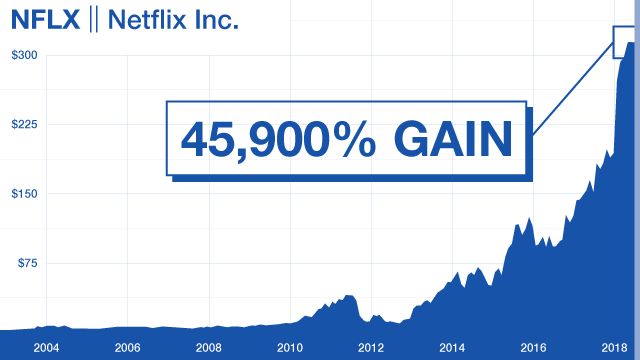 That’s just three companies – and the potential for over $1.2 million in gains. All because of the greenlight the U.S. Government granted to create this new “offshoot” in this industry. 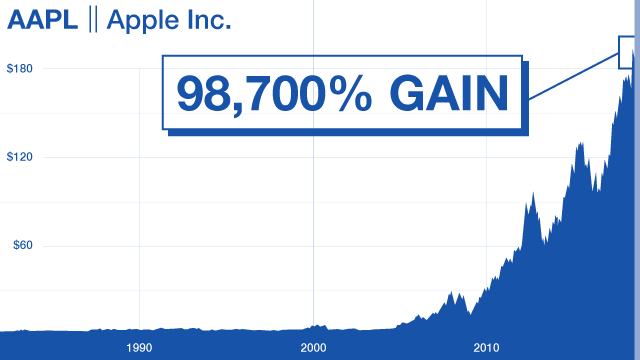 Of course, there are no guarantees the gains here will go this high. Anything can happen. And smaller companies in new industries like this one carry considerable risk. We’ve seen how new events in the fledgling marijuana industry can drive small, unknown companies through the roof in a flash. Just 10 days later, it’s $3.37 a share. That’s a quick 6,600% gain. After Justin Trudeau announces his support for legalizing marijuana across Canada. For another fast 378% win. Enough to turn $2,500 into over $1.87 million! This “offshoot” industry is completely new, legal… and has the potential to be 111 times bigger. Yet, incredibly, very few know about it yet. Because today I’m going to lay everything out for you. And reveal five companies I’m following right now with the potential to turn a very small stake – into a combined $2.33 million. And watch it quickly soar to $3… $5… $10… $20 and beyond. That’s what I believe is about to happen here. I’ll guarantee you’ll have the opportunity to make at least 10 times your money with the NEXT wave – all within a year’s time. There’s not a chance in the world I could make such a bold promise with ordinary speculations. I believe the biggest gains are yet to come. Now, before I give you all the details, let me introduce myself. I’m the Chief Scientific Researcher here at Money Morning. My job is to give you the latest groundbreaking developments in medical science and biotechnology – and show you how to profit. I was raised in the medical field. My father was a primary care physician. My mother, a registered nurse. My brother, a highly respected cardiologist. Me, I chose to follow and report on the latest and most exciting medical research. I’ve spent over three decades studying the science behind new treatments for pain, cancer, Alzheimer’s, cardiovascular disease and more. I’ve worked with Nobel-caliber physicians like Doctors Karel Liem and William S. Beck of Harvard, as well as Dr. George Gaylord Simpson of Columbia, helping them develop their published work. I’ve written and contributed to more than 100 publications in the medical field for top publishers such as Prentice Hall and Harper Collins. After 30 years in the field, I “get” the hard science behind new and experimental drugs. Does the science behind the drug work? And will doctors prescribe it? Dravet syndrome is a catastrophic form of epilepsy that shows up in babies. There’s no cure and nearly 20% die from severe seizures and related causes. A few months back, my research led me to a small biotech where the only drug in its pipeline resulted in 7 out of 10 test patients being “seizure free” for at least a year. Another company I was following developed a breakthrough treatment for HIV. I have many more I can tell you about. If your life’s work is in science and medicine – why are you talking about a new “offshoot” created by marijuana stocks? Cannabis is – Hands Down – the Single Most Important Medical Treatment of the 21st Century. And “insulin” in terms of the quality of life it can offer people who are suffering. Scientific studies are now showing the healing components found in cannabis can treat it all – naturally and without the side effects associated with typical pharmaceutical drugs. I’m talking about real, pharmaceutical-grade cannabinoid medications scientifically formulated and clinically proven to treat a long line of specific ailments. Made primarily with the non-psychoactive ingredients, which means you won’t get high when you take them. Some are calling it a “coming of age” for medical marijuana. An industrial “coup d’état” that’s unprecedented in the history of American business. What stands a better chance in the market? And marketed to medical professionals everywhere via a large, extremely mobile and highly trained national sales force? I’m not a betting man – but I’d wager that this is going to be a winner. I’ll take the FDA-approved medicine every time. This is the single biggest moneymaking opportunity you’re likely to see in your lifetime. 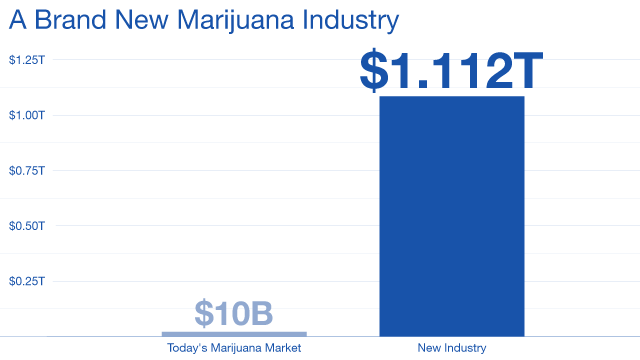 The entire U.S. marijuana market is expected to reach $10 billion this year. Medical marijuana – the stuff you smoke, vape, and ingest – is expected to be around half of that, about $5 billion. And 222 times bigger than medical marijuana. The pharmaceutical industry has been handcuffed when it comes to creating pharmaceutical-grade medication using pure cannabis given the drug’s legal status. Its first ever approval of an all-natural cannabis prescription drug in U.S. history. 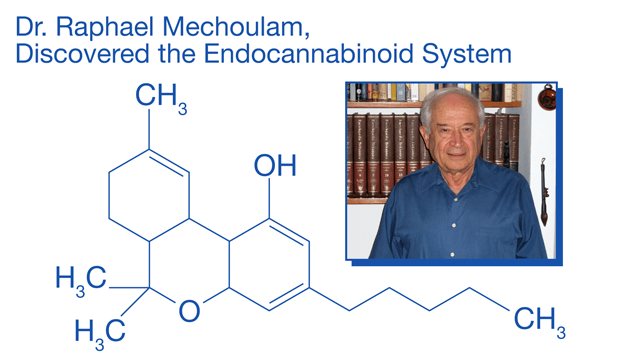 The highly beneficial but non-high-producing cannabinoid found in marijuana. 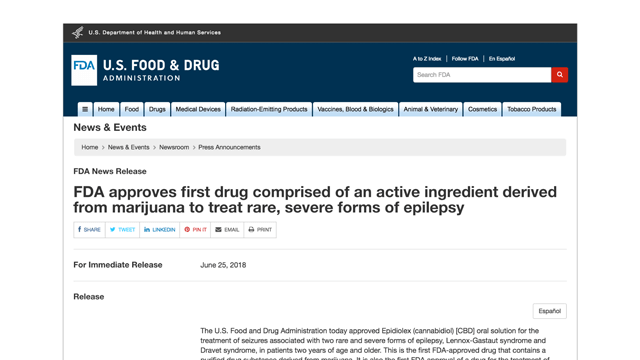 The drug is called Epidiolex… and you cannot underestimate the impact this history-making FDA approval will have on pharmaceutical marijuana from starting immediately. Until now, the few marijuana-based drugs to be approved featured synthetic forms of cannabis made in a laboratory – like dronabinol, which can have serious side effects and is addictive. Epidiolex is the very first drug approved by the FDA made from the PURE ingredients of the marijuana plant – which have little or no side effects or addictive qualities. Why is this such a watershed event for the dozens of tiny companies currently working on marijuana-based treatments? It marks a pivotal moment in history. For people like you who see it coming, this is HUGE. New companies – like the five I’ll tell you about in a moment – are lining up to be a part of this massive new “offshoot” industry. By providing safe and effective alternatives to the dangerous and highly addictive treatments millions of patients are on right now. 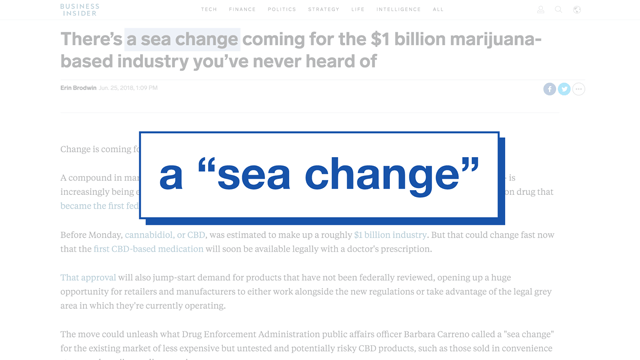 It’s the “sea change” people are talking about. There was conclusive evidence that the cannabinoids in the marijuana plant can be an effective treatment for chronic pain and other ailments. The physiologic network inside of all of us that regulates things like movement, memory, appetite, and pain. He discovered our bodies actually produce natural cannabinoids – like the ingredients found in natural marijuana – to keep our endocannabinoid system in check. Like migraines, fibromyalgia, and irritable bowel syndrome, to name a few. And because your EC system is responsible for regulating neurotransmitter systems as well – more serious diseases, such as Alzheimer’s symptoms and Parkinson’s disease may also be related to EC system deficiencies. Thus, relieving pain and other maladies caused by a weakened or deficient EC system. And cannabis was put here on Earth for us to use as a natural cure! Now the FDA’s approval of Epidiolex just opened the floodgates in a massive way. That’s because there are estimated to be over 120 ailments where pharmaceutical marijuana can play a curative role. 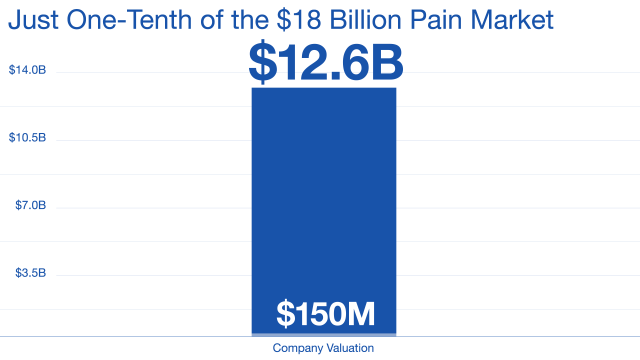 One of the markets where pharmaceutical cannabis can have an immediate impact is the $70 billion pain market. More than 1.5 billion people world-wide suffer from chronic pain. And the current treatment of choice for pain? But opioids are highly addictive – and they’re killing people. Over 2 million Americans are dependent on opioids and can’t get off them, reports CNN. Many experts say cannabis is the answer. The cannabinoids found in cannabis have been shown in studies to work just as well as opioids on most pain. As one industry expert said, it’s hard to imagine a less efficient way to put the healing power of cannabis to work. Potency and quality of the cannabis you’re using varies greatly from crop-to-crop. Formulations are not scientifically controlled, so they don’t target any specific disease. Not to mention the negative impacts smoking marijuana can have on your respiratory system – since “deeper draws” and longer holding time in the lungs can result in five times the concentration of carbon monoxide, three times the tar, and higher levels of ammonia and hydrogen cyanide. With consistent dosages that are more potent, longer-lasting, and much safer than smoking. FDA’s approval of Epidiolex is just the beginning. Former Republican House Speaker John Boehner was once firmly in the anti-marijuana camp. Now, even he sees and supports the medical benefits of marijuana. Smart investors are paying attention. 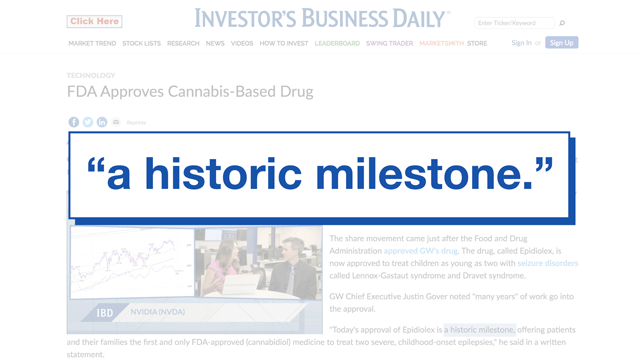 And the company announced that estimated annual sales of Epidiolex could reach $1.6 billion in the coming years. The stock shot from $105 a share to $155 – a mammoth gain for a company with a $4.3 billion market cap. Will GW go higher still? But companies like GW Pharmaceuticals are NOT where the big money will be made as the pharmaceutical industry’s takeover of medical pot unfolds. Because when they go up in value by $1.3 billion, the way GW did, the profits can be exponentially large. In a moment, I’ll detail five of these companies I’m following right now that could deliver millions of dollars to investors savvy enough to recognize the enormity of this opportunity. The largest I’m following has a market cap of just $153 million. That’s 28 times smaller than GW Pharmaceuticals. 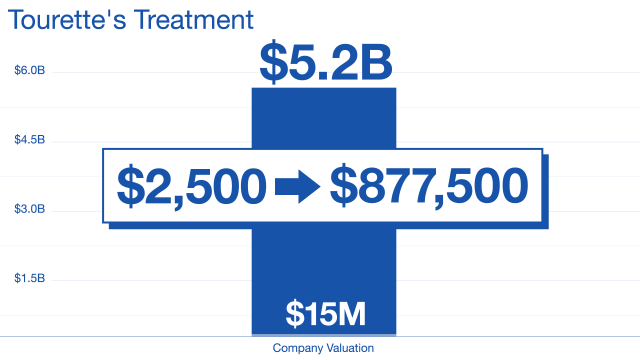 With this formula in mind, it’s possible GW Pharmaceuticals could double when $1.6 billion is added to its ledger. Times the industry average price to sales ratio of 7.02. Which, in turn, gives you a chance to turn $2,500 into $186,600! That’s the BIGGEST company I’ll share with you today. Another very promising company has a mere $14 million market cap. And a chance to turn $2,500 into over $2 million! There’s no doubt the stock price of SMALLER companies, like the ones I’m tracking, will surge much higher than an established company like GW. Companies that have been working on various forms of pharmaceutical cannabis for many years – and offer you far greater profit potential. Some are trading for as little as $1 per share right now. And that’s where things get really exciting. 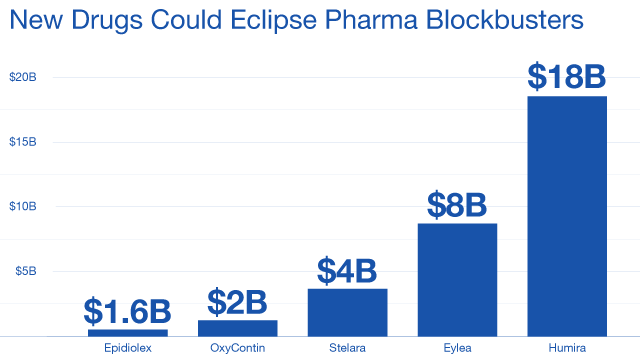 Drugs like these can easily eclipse the $1.6 billion per year in sales GW Pharmaceuticals is estimating for Epidiolex. Take OxyContin – just one of many opioids on the market. It was a $2 billion-per-year drug in its heyday. Sales for the anti-inflammation drug Stelara are over $4 billion a year. 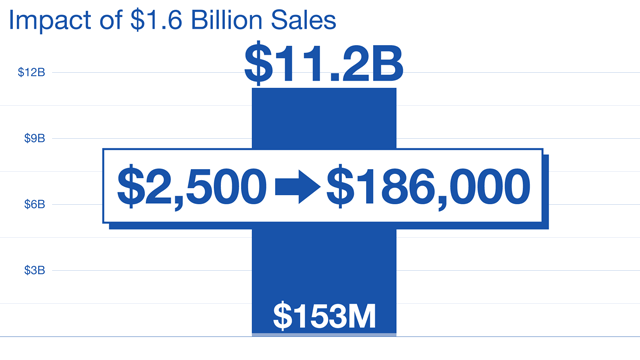 And for big drugs like Humira, sales can top $18 billion a year! Imagine if a tiny $107 million-market-cap company – like another of the stocks I’ll talk about shortly – hits a grand slam home run with an $18 billion-a-year cannabis-based drug? Enough to turn your $2,500 stake into $2,952,000! A windfall like this would be very unusual to say the least. And a lot of things would have to go right for any stock to see this kind of growth. 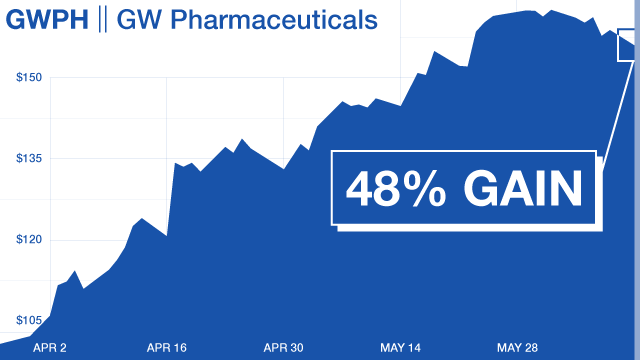 But in an industry as NEW and FAST-GROWING as cannabis pharmaceuticals, gains like this are possible. In fact, I’m releasing full details on the latest new recommendations. The first company is trading for around $1. He was one of the scientists responsible for bringing OxyContin to the U.S. market back in 1995. OxyContin, Vicodin, Fentanyl – they’re just some of the opioid drugs responsible for the current addiction crisis. And medical marijuana is being touted as the solution. The fact that someone so close to the opioid controversy is now looking to profit – it’s a little controversial to say the least. You can look at it that way and ignore this opportunity on principle. But if you do, I think you could be leaving millions of dollars on the table. Whatever you may think of his past work, this man and the team that surrounds him – they know the drug business. And they know what it takes to rack up billions in sales. And he’s made it no secret that his new company’s plan is to replicate OxyContin’s success… starting with the drug itself. You see, the secret behind OxyContin’s success was not its superiority over earlier painkilling drugs like morphine. It was the control-release technology the company had developed for its long list of pills that allowed medication to work longer by dispersing the active ingredient more quickly. The company’s plan is to do the same with cannabinoids. The money here could be insane. Over $70 billion is spent on opioid substance abuse treatments – 80% of that by Americans, according to CNBC. The U.S. opioid market alone is expected to reach $18.4 billion in sales by 2020. But without the side effects, addictive properties, or growing risk of legal liabilities associated with prescribing it. The company that harnesses the immense power of pharmaceutical-grade cannabinoids to control pain has the potential to sell billions. Every cannabis drug for which there is an accepted medical application could benefit from the tablet technology this company is developing! In other words, the sky’s the limit here. To as much as $12.6 billion. And the potential to turn a $2,500 stake into $210,000 or more. Of course, I can’t guarantee gains will be that big. Nobody can. And even though my research shows this company has substantial expertise in drug-delivery technology, you can never predict how the market will respond. That said – even a fraction of those gains would be considered a “nice win” for any investor. Here’s something else to remember. We don’t need to see these drugs “on the shelves” tomorrow to start seeing these gains. Now that the FDA has legitimized medical cannabis by greenlighting Epidiolex… we could see billions of dollars in new investment money rushing into tiny “first-mover” companies like this one. And of course, I’ll give you easy-to-follow, step-by-step instructions for making the trade, including my crucial “buy up to” price and risk-management strategies – which I always recommend you follow when it comes to volatile small stocks like the ones I’m talking about today. Pain and drug delivery is just one part of the massive $1.112 trillion market for pharmaceutical-grade marijuana. Rheumatoid ARTHRITIS, ALZHEIMER’S, and PARKINSON’S disease, GLAUCOMA, and MACULAR DEGENERATION could be in the $46 billion range in the coming years. National Institutes of Health Research is also now learning that marijuana extracts may help kill certain CANCER cells and reduce the proliferation of others. So, there is no shortage of opportunities. The second stock on my short list tackles one of these. This one has the potential to double very quickly… possibly before the month is out. I’ll tell you why in a moment. This new drug involves a very promising cannabis-based treatment for a rare neurological condition that can lead to Tourette’s Syndrome. But in reality, it’s an affliction that affects 1 in 100 people… mostly children. These kids develop uncontrollable tics and spasms that rob them of a normal childhood – and can lead to alienation, bullying, and psychological problems later in life. But there can be serious side effects for these types of drugs – everything from dizziness and nausea to tremors and trouble breathing, and even to more severe adverse events listed in “black box warnings” required by the FDA. But also, they experienced a very noteworthy 21% decrease in the disease’s major symptom – facial tics – across the entire test sample. So, based on testing so far, we know it works… and it’s much safer than traditional treatments. But here’s your immediate opportunity. Phase 2 clinical trials are one of the most important and potentially lucrative phases of the FDA study process. I can’t tell you how many stocks I’ve seen soar on positive results at this critical “mid” trial stage. It’s when investors learn – for the very first time – that a drug has the potential to work on actual patients… and it’s safe. And when you’re dealing with a new drug and a disease for which there is no cure and no FDA-approved treatment – investors tend to get very excited once news gets out. I’ve seen many, many examples of this. 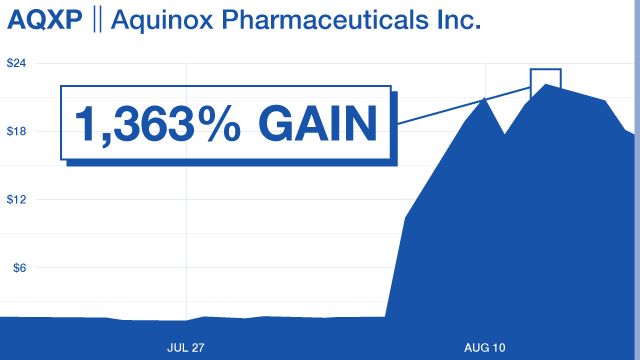 It rocketed from $35 to $128 after its dermatitis drug reported Phase 2 success – including a near 100% gain the day results were announced. 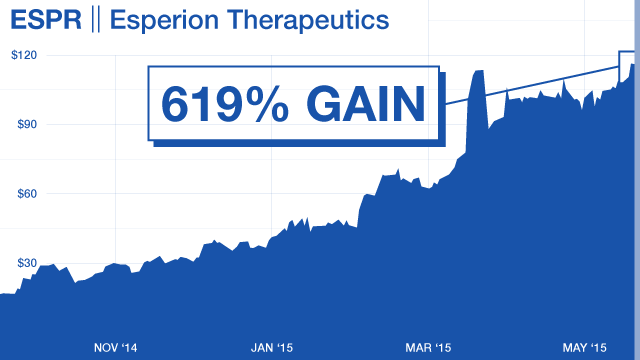 Esperion Therapeutics went from right around $16 in the days before its hypercholesterolemia drug’s Phase 2 study results were announced – to a high of $115 within a few months. 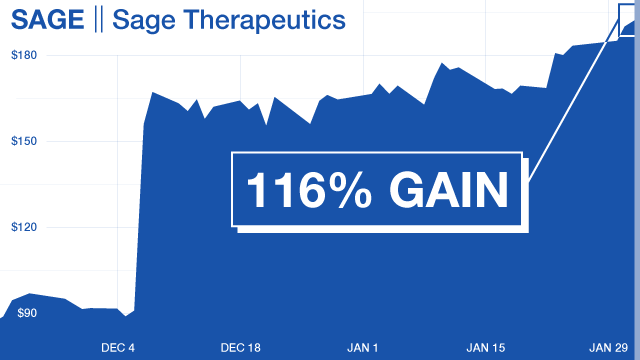 Sage Therapeutics soared from $89 a share to $167 in three days… on the way to a recent high of $192… all on positive news from this phase. And these are not “small” companies. 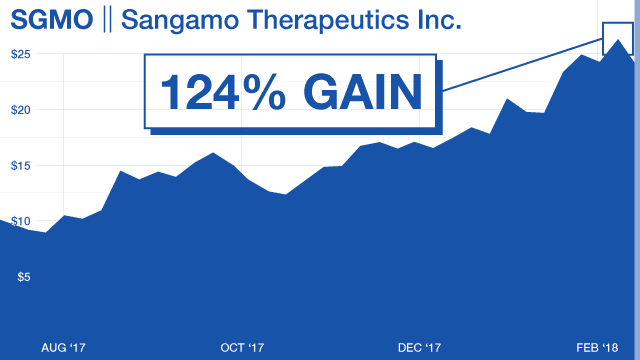 Sage Therapeutics was a $4 billion company when study results were reported – and the stock still more than doubled on the Phase 2 news. 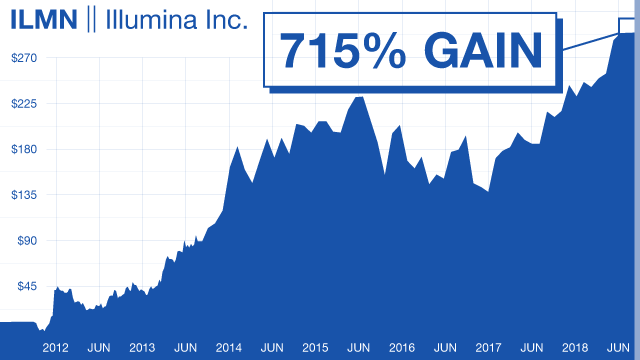 When the market gets hold of positive news like this – involving a company that’s more than 250 times smaller – there’s no telling how high the stock could go. 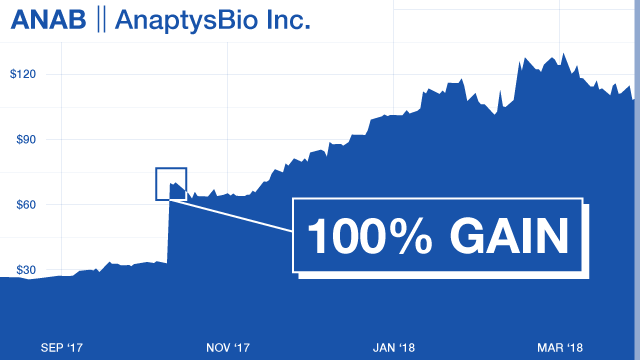 Its market cap stock was under $50 million when it delivered positive results in a Phase 2 study for interstitial cystitis, a painful condition of the bladder. 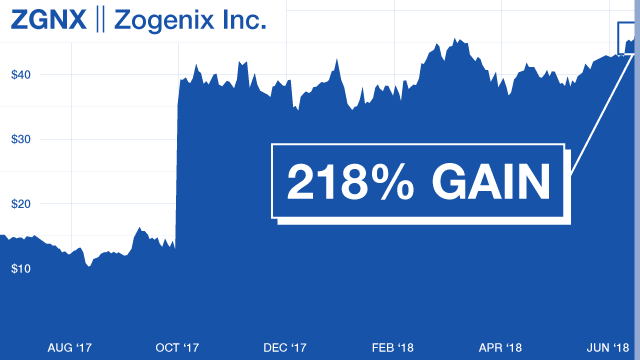 Less than three weeks later, the stock had shot to $22.10 – a 1,363% gain. A chance to turn a $2,500 stake into a very fast $31,575! But the potential for a short-term windfall from the Phase 2 findings is just one of the ways to cash in. The company estimates the annual market opportunity for Tourette’s drugs in the U.S. at about $1.5 billion. This could translate into HUGE gains once the first ever FDA-approved drug comes to market. 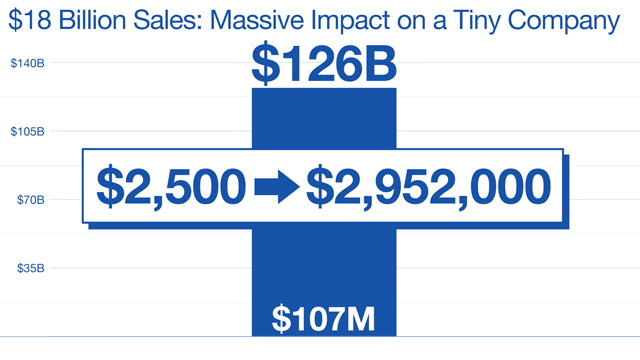 Even if it only captures half that market, that’s $750 million in potential sales. And give you the potential to turn every $2,500 stake into a massive $877,500 windfall. There’s no limit to the gains when you have small companies in play in such a fast-moving industry. Another company I’m following is working on a cannabis-based drug to treat Fragile X Syndrome. Fragile X Syndrome is a rare genetic condition that causes developmental problems in children, including learning disabilities, cognitive impairment, and mental retardation. There’s no cure and no FDA-approved treatment. This company’s new CBD-based drug offers hope for the children Fragile X Syndrome affects – as well as the caregivers who must tend to them every waking hour. It’s been shown in clinical studies to improve many of the most disabling symptoms of the disease – including anxiety and challenging behavior. But what makes this new cannabinoid drug especially exciting for investors is that it’s been granted orphan status by the FDA. The FDA grants “orphan” status to drug companies as an incentive to develop therapies for rare diseases for which there is no cure or treatment. 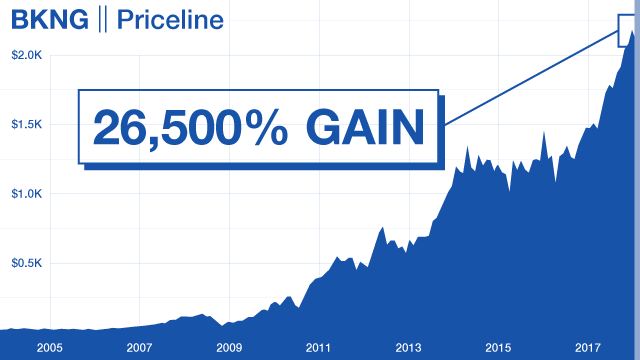 It’s great for the company… great for the stock price… and great for investors too. That’s because companies developing a treatment with Orphan Drug Status can claim up to 50% of their research and development costs in the form of tax credits. Given it can cost upward of $50 million to develop a drug, that can add millions to the company’s bottom line. In the U.S., the FDA will even waive application and filing fees, saving another $2 million at least. Seven FULL years of exclusivity protection – during which time nobody else is allowed to market a treatment that works in a similar way. This is a huge competitive advantage. Which is why just the designation alone can be a monumental catalyst for a stock. Like it was for United Therapeutics. Today, they’re known for the drug Remodulin, which treats a rare lung condition called pulmonary arterial hypertension. Back when they started developing Remodulin, their stock was trading for only $4.50 a share. 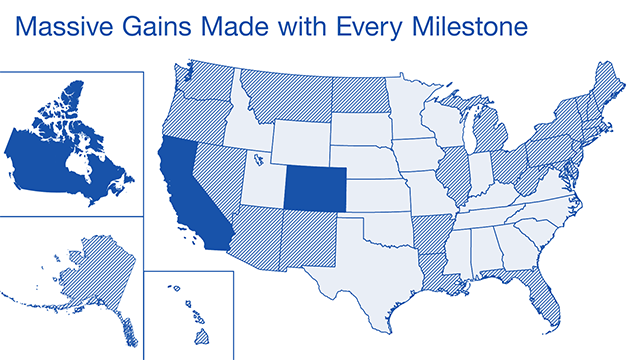 Then the FDA granted their treatment orphan drug status. And it was a powerful catalyst. And handed early investors a 3,983% windfall. 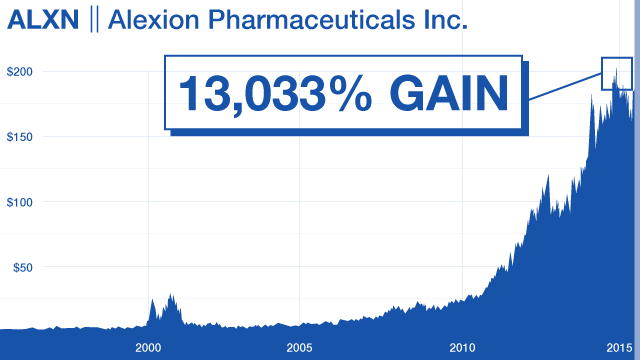 Alexion Pharmaceuticals is another example. While developing Soliris – which treats a rare disorder that destroys the body’s red blood cells – it was a tiny lab in Connecticut that almost nobody had heard of. And look at what happened next. It helped the stock explode up to $197 a share. If you had been along for that ride, you would’ve collected a 13,033% payday. In other words, a modest, $1,000 investment could’ve transformed into $328,333. 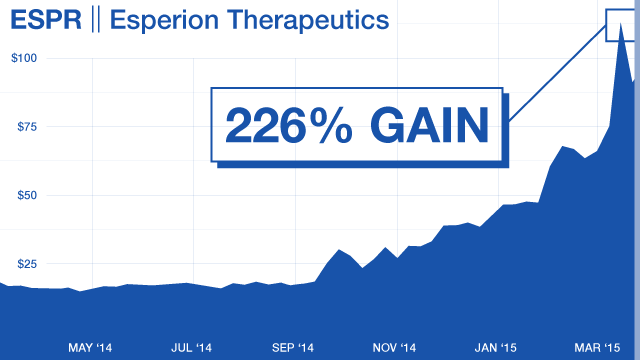 Now, will every orphan drug see gains this large? Probably not. When it comes to stocks, there are never any guarantees. But the “Fragile X Syndrome” company’s drug I’m following treats a very rare disease, for which there’s no cure or treatment. Clinical studies I’ve seen show the drug is safe and it works. And the company’s SMALL – less than $150 million in size. With ZERO competition for seven years. More than 59 times bigger than it is today – giving you a real shot at turning $2,500 into $149,300. So already, if things play out this way, we’d be up to a potential for $1.13 million – from investing $2,500 in just three of the stocks I’m watching. Now, I know that sounds incredible. 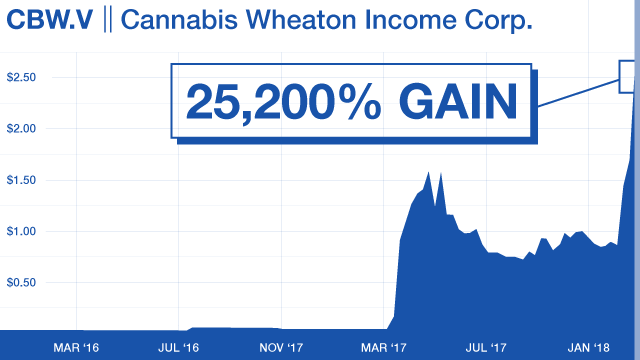 Or when General Cannabis jumped 20,260% in just under two years. 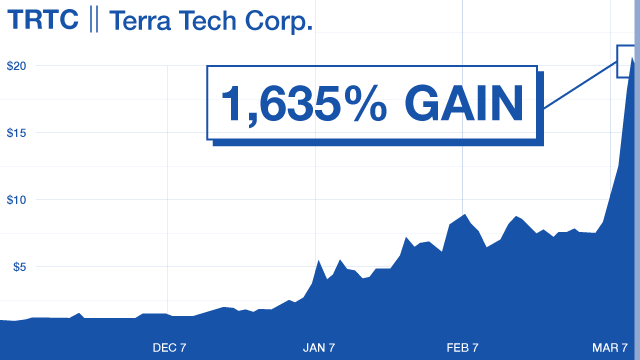 Terra Tech Corp shot from 90 cents to $17.25 in four months. That’s a lightning-fast 1,635% gain, turning every $2,500 stake into $47,900. Enough to turn every $2,500 into over $632,500! Of course, these past gains don’t mean they’re guaranteed to happen again. It’s not every day that a stock shoots this high, this fast… and you have to be very lucky to catch the ones that do. Even a fraction of these gains would be life-changing. The potential here is massive to say the least. I, for one, am not going to let this historic opportunity go by. And, frankly, I don’t want you to miss out either. That’s why it’s so critical that you take out a subscription to Biotech Insider Alert right away. Biotech Insider Alert is the culmination of my life’s work. It’s where I leverage my decades of experience, scientific knowledge and connections in the medical profession to help you get in on the ground floor of medical breakthroughs. By “ground floor” I mean small companies on the verge of major breakthroughs that can make you rich. It’s tiny – and the upside is huge. This one has a drug that treats Graft vs Host Disease or GvHD… a rare complication that occurs when transplanted donor stem cells meant to attack problem cells attack the patient’s healthy organs as well. When I say “rare,” it’s because few people have donor cells transplanted. But, incredibly, an estimated 70% who do contract GvHD. He had a blood stem cell transplant for cutaneous T-cell lymphoma – a type of blood cancer that attacks the skin – right around the time his daughter was born. But six months later, his legs began to swell – a sign new cells were also attacking healthy parts of his body. That’s the cruelty of the disease. Just when you think everything is fine – disaster can strike. Greg’s condition worsened over time… to the point where his skin was so sensitive and painful that he couldn’t let his daughter hug him. The little company I’m following could be a Godsend for people like Greg who are fighting to overcome the debilitating and often deadly effects of GvHD. Its brand-new cannabis-based drug has just been granted valuable orphan status by the FDA. In early Phase 2 studies of the drug in the treatment of GvHD, patients were provided daily doses for seven days prior to transplantation… 30 days afterwards… and monitored for 16 months. While on the treatment, just 12% developed Grade II-IV acute GvHD – the most serious forms of GvHD – compared to the historical 46%. 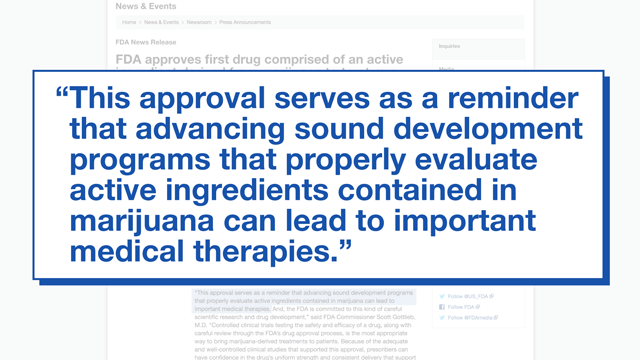 And the marijuana-based treatment was safe and well tolerated, which is an absolute necessity for any drug seeking FDA approval. And exciting for investors too. Global Data, a medical consulting firm, says the GvHD market is growing – and could reach $544 million in the coming years. That’s a sizable market for a company with a mere $21 million market cap and a share price of just 14 cents. A potential 90-to-1 windfall that could turn a small $2,500 stake into a staggering $226,600. Again, these are incredible projections. 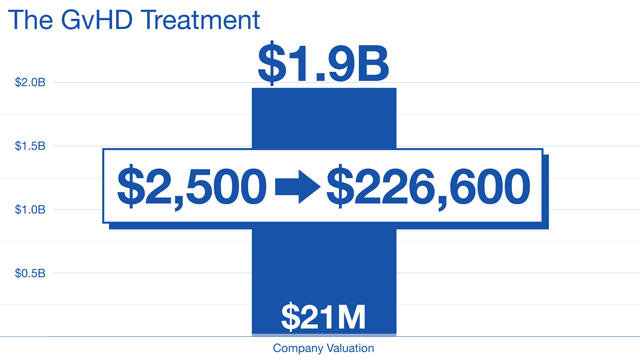 But in biotech stocks especially, a new treatment where none exist can lead to massive gains. 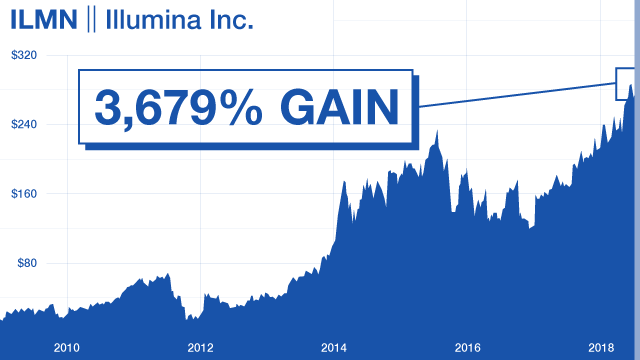 Now Illumina is a $269-per-share company, turning every $2,500 invested early on into $17,100. It received orphan status for Defibrotide – a drug designed to help fight a disease that obstructs the tiny veins in the liver. 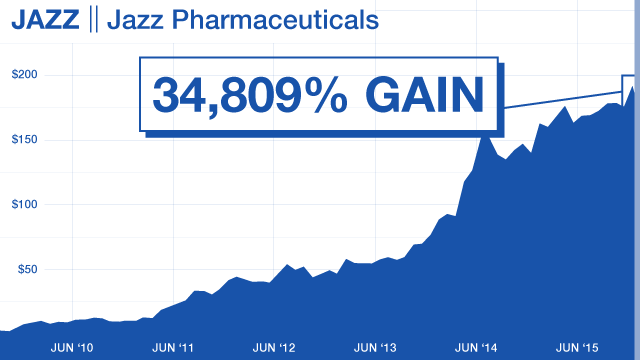 Jazz jumped from a low of 55 cents a share… to over $192 a share. That’s a ridiculous 348-to-1 gain – good enough to turn a $2,500 stake into $870,000! There’s an entire industry of tiny companies waiting to cash in. A potentially deadly disease that makes skin extremely fragile, causing it to tear from very minor friction or trauma. They have to be constantly protected from their environment. The slightest friction can produce agonizing wounds that can cover up to 75% of their bodies. And every day, it can take up to three hours to clean and dress new wounds, which can occur from simply turning over during sleep. There’s no recognized treatment or cure. This company’s new drug could be the first. It features cannabinoids specifically selected to impact keratin levels, making skin less fragile and less susceptible to easy tearing. There’s also a secondary cannabinoid that’s been shown to reduce inflammation, decrease itching and pain, and promote skin regeneration – which cannabinoids such as CBD are well known for. Even though only about 2,000 children get the disease each year, the estimated market for a new EB drug is right around $1.3 billion. That’s HUGE for the tiny, 79-cent-per-share company that’s working on this “orphan” disease. An 86-to-1 return based on the EB opportunity potential alone. And the chance to turn a $2,500 stake into $215,000. A “secret weapon” that could transform how quickly and efficiently cannabis-based drugs are discovered and developed. It’s a brand-new technology that combines massive amounts of data on over 90 cannabinoids along with proprietary algorithms that can quickly identify cannabinoid combinations that are likely to have an effect on specific diseases. Using its massive database and proprietary algorithms, it identifies a combination of cannabinoids most likely to have the best therapeutic effect on a variety of diseases and ailments. But there’s also the potential for a multiple-billion-dollar revenue stream from licensing agreements as well. 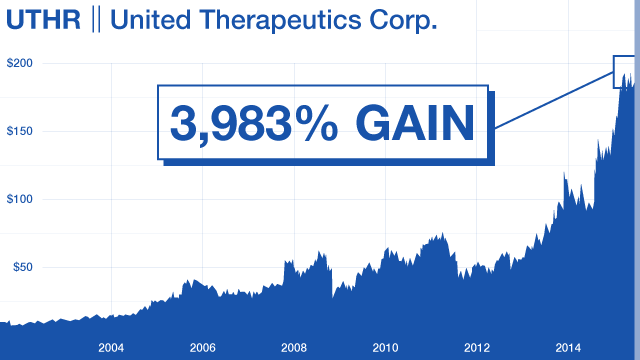 This is one of those tiny “under $1 stocks” that could go on to deliver life-changing gains. It reminds me of Jazz Pharmaceuticals less than a decade ago… the company I just told you about. 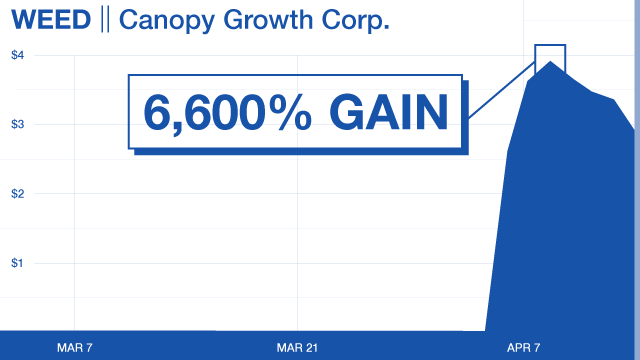 Delivering gains big enough to turn $2,500 into $870,000. Who says the drug-delivery technology and treatments his new company is working on could be “even bigger” than the $35 billion success he had developing and marketing the opioid pain medication OxyContin. Potential on a $2,500 stake here could be as high as $210,000. I told you about the very small biotech working on a cannabis-based Tourette’s drug and the Phase 2 trial release. That one has the potential to turn $2,500 into a whopping $877,500. 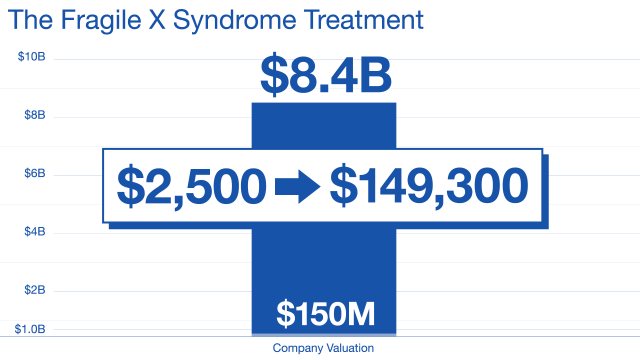 There’s the company with the potential Fragile X Syndrome treatment that could deliver a $149,300 windfall. There’s the little company working on a Graft-versus-Host Disease treatment that could give you a very nice $225,000 win. Good enough to potentially turn a $2,500 play into as much as $870,000 when all is said and done. That’s why it’s more crucial than ever that you join Biotech Insider Alert immediately. There’s never been an opportunity so ripe for life-changing returns as there is in the world of medicine right now. 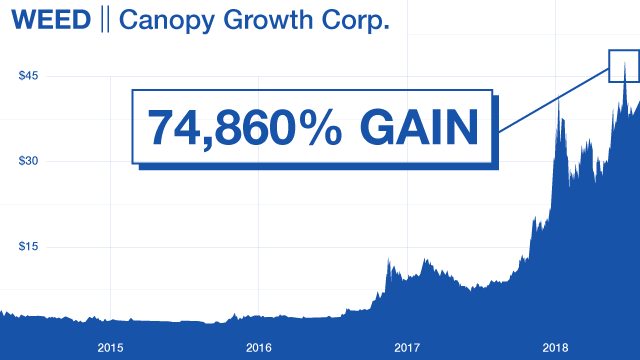 You saw the massive gains tiny marijuana stocks made with every milestone. Recreational legalization in Colorado… California… and soon Canada. If you missed out on those gains, you want to be a part of this. $1.12 trillion compared to $10 billion projected for the unscientific stuff you buy in bags at legal dispensaries. And put any retirement worries you may have in the rearview mirror… forever. As a Biotech Insider Alert subscriber, I’ll put you right in the driver’s seat. 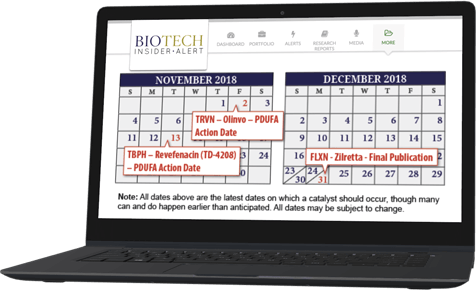 You’ll also receive exclusive access to my proprietary Biotech Insider Alert FDA Milestone Calendar. One of the great things about many biotech plays is that you can have a pretty good idea in advance of when the profits are coming. Most of the time, a company or the FDA will schedule a specific date – or a range of dates – when important and potentially profitable news is delivered. My Milestone Calendar is where I track the most promising of these opportunities – so you can have a “visual” of when the next gains could arrive. 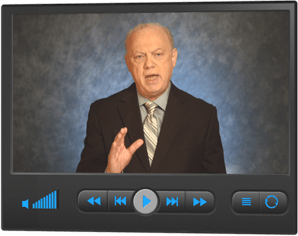 It’s housed on the members-only website… and I include it in my regular Opportunity Review alerts that I’ll send to you by email. But that’s not all I do to keep you up to speed on the biggest opportunities in biotech. I also hold exclusive subscriber-only Roundtable Conference Calls and Webinars. And answer your most asked questions, so you are constantly kept up to date on everything that’s happening. Then, whenever it’s time to close out one of our opportunities, I release a Real-Time Profit Alert. This helps you maximize any returns. And for these small companies especially, I’ll have my recommended “buy up to” price. I never want my readers paying more than they should if they want to make a new investment. To ensure you never miss one of these fast payouts, I suggest you take advantage of my text message notification system. It sends your cell phone a “ping” whenever I release a new Investment Research Report or Real-Time Profit Alert via email. Just tap it… check your email… see the trade I’m recommending… hear my thoughts about it… and, if you decide you want to be a part of it, simply execute the trade on your smartphone from anywhere. And believe me – when one of these tiny pharmaceutical marijuana stocks starts moving, even a 10-minute delay can cost you thousands in potential profits. As you can see, I’ve built my Biotech Insider Alert to be incredibly comprehensive. 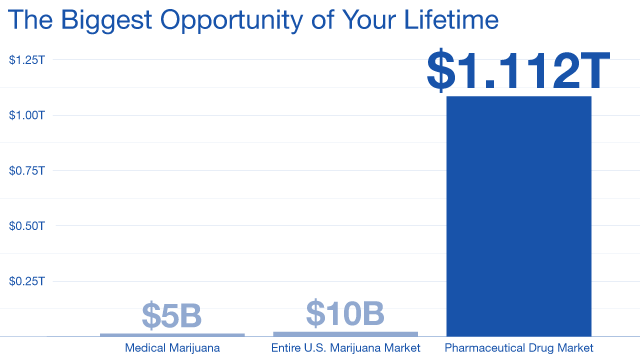 Yes, there’s a massive opportunity in pharmaceutical marijuana – in my view, potentially the biggest we’ve ever seen in biotech. But you’ll also learn about other companies working on more traditional drug treatments and medical marvels being developed by tiny labs and pharmaceutical firms around the world. 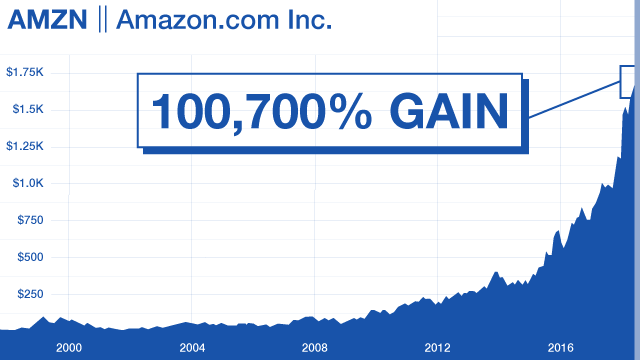 That drove the stock up 3,679%. 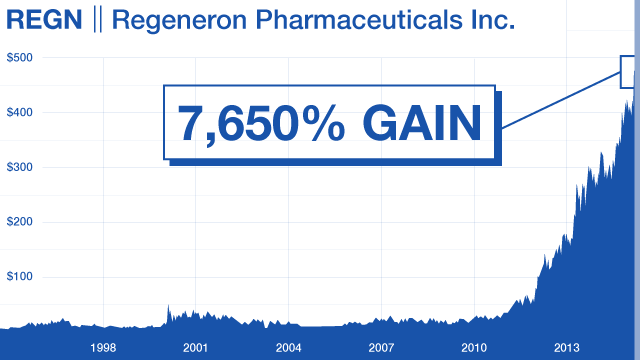 Or Regeneron Pharmaceuticals… which experienced a 7,650% surge thanks to a drug portfolio that included a treatment for macular degeneration. And my years of experience and hard-won knowledge help me uncover companies like these. I’m sure you can appreciate that my Biotech Insider Alert research service is intended for people who are serious about seeing how to make BIG money from this explosive industry. So it’s definitely not cheap. The regular retail cost to join is $5,000 for one year – and considering the massive profits we’re going after, it’s worth every penny of that and much more. And as my readers love to point out, your very first win could easily repay your membership fee for you – and much, much more. Remember – this is not your typical opportunity. So new it didn’t even officially exist until the FDA approved the first ever pure cannabis-based pharmaceutical drug on June 25. The big institutional money isn’t anywhere close to being “all in” yet. But that’s about to change… in a hurry. It’s like a “perfect storm” is forming. And it’s happening right now. It relates to what I’ve been saying. I’m not focused on biotech heavyweights with $50 billion market caps. That’s not where the big money for investors is – especially in an industry as new and burgeoning as pharmaceutical cannabis. Small companies with huge upside. And no sector of the biotech world is so brimming with tiny companies on the verge of explosive growth than the companies ready to stake their claim in the massive $1.112 trillion pharmaceutical-drug market. 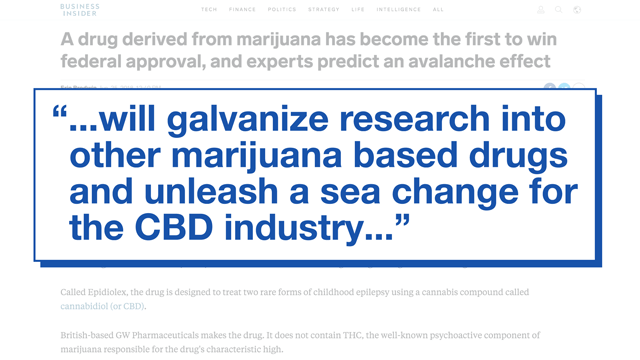 Full research reports on additional pharmaceutical cannabis “first movers” as they stake their claim in this trillion-dollar industry. Now, before you click the button below to secure your membership, there’s one more thing to tell you about. All within the course of a year. That’s a very bold claim. Which means your full year of Biotech Insider Alert will cost you NOTHING! I think you’ll agree, that’s a very fair deal. Either I come through with the goods… or you pay nothing. All you have to do is call to let us know, and we’ll rush your refund to you. So, with that guarantee of success in your back pocket – let’s not waste another moment. Sign up for Biotech Insider Alert – and dive into your new member materials immediately. This one has the very real potential to deliver $210,000 or more on a very small investment. But also owns that proprietary 90 cannabinoid database-algorithm set I told you about that can identify ideal cannabinoid combinations for fighting specific diseases. And could be the next tiny medical marijuana firm to deliver 20,000% or more gains in the process. As I uncover new companies at the forefront of this brand-new offshoot of this massive $1.112 trillion industry. So the next move is yours. Just click the BIG BUTTON at the bottom of this page. It will take you to a short “membership acceptance form” where you can review everything and make your final decision. If I don’t come through with 10-1 on your money within the year – you pay nothing. The 500 membership spots available today won’t last long.